The beginning of a new life on this earth spells a special time for parents and families of all kinds. The site of a baby can bring tears of joy to those of a sensitive nature and give hope to the world via a new baby of a chance for a better future. So, I take note of this early life stage by photographing the first year of a baby's life and have a First Year Portrait Series plan for parents of new born babys. 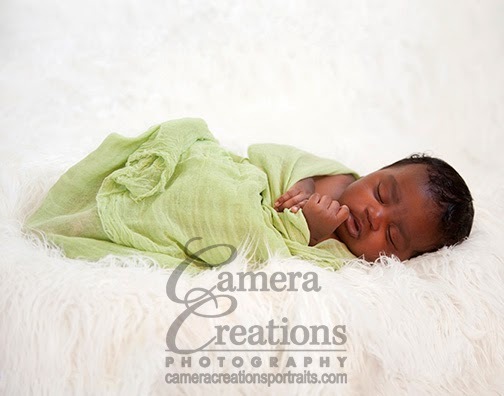 Please call me at Camera Creations LLC for more details: 323.466.3909. Below is one of the first portraits of Tayden Smith whose family recently signed up for the plan. He will be coming back for his 6 month old portrait and finally his 1 year old portrait. Tayden is well loved by his family as is reflected in their desire to document his first year with professional portrait photography.